An integrated drawstring collar makes clean up and packing out a breeze; ideal as a dog bowl, wash up bowl, dish washing bowl and more. 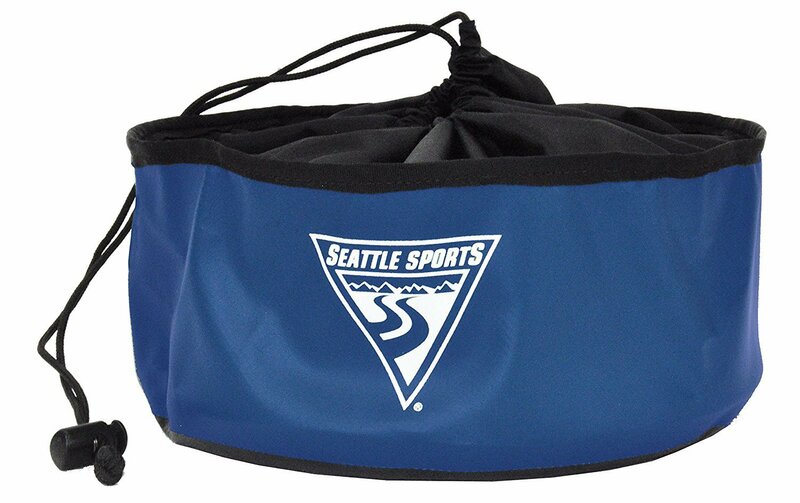 Made of vinyl with RF welded seams and abrasion-resistant base. Folds up small for easy storage. Integrated drawstring collar. 9.5" D x 4" H, holds 4.6 liters.